It's all about PINK. Meet the boutiques at Pretty Pink Boutiques. Vintage to Vogue, Pieces of My Heart Mosaics, Katie Newman Gifts and Home, Sassy Chic Shop, Creative Sewing Boutique, Fancy's Bargain Shop, Shabby Vintage Dreams, Rose Cottage Chic, Shabby Cottage Designs, Coming Home Accents, Cindy Ellis Artwork, and many more. Read our interview with Nancy Gebhart. View the home of Mandii Weir and Kim Wood. 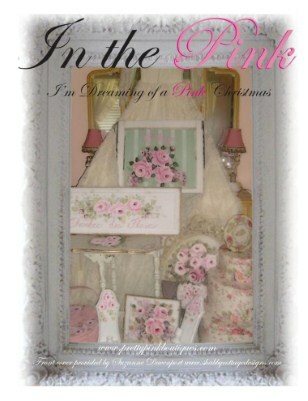 Read the article by Jill Serrao, Life in Pink. Do it yourself projects for you and the family. Pink Holiday Recipes by Vicki James Millington to please everyone. An exhilarating magazine for your PINK interest.